35 single girl that works full time. Tries to be optimistic in an increasesingly pessimistic world. Travel, music, reading and shopping are my saviors. You would have to living completely off the grid to have not heard of Nashville, TN by now. It is possible that you have not been to Frankin, a suburb just 20 mins south though. If you have been, it is most likely a place you love. If not, it should be on your Nashville list. It’s a town that hosts several festivals throughout the year and has plenty of eating and shopping options to satisfy just about anyone. The most popular festival is the Pumpkinfest, which is held annually each October. The Heritage Foundation of Franklin and Williamson County holds it in the downtown district, which is nationally recognized as a “Great American Main Street”. This year we took the advice we have been hearing and went to check the festival for ourselves. Anyone and everyone looking to experience a fun fall festival in a quintessential American small town. Whether you are a few hours or a few minutes away, this is a fun day. Folks come dressed in regular clothes or Halloween costumes. You may even bring your dogs dressed in their Halloween best! By car. Either your own, rental, or Uber. The closest airport is located in Nashville, TN. If you are coming from Nashville, Franklin is located 25 miles south of Nashville. If you are coming from Huntsville, AL, it’s 140 miles North. Franklin is a fantastic day trip option for either location. The festival is held downtown, so you will want to park within a few blocks of Main St. This site offers areas where free parking is available. There are other paid lots available in church parking lots and various businesses in the area during high visitor times. There are food trucks available as well as coffee houses and restaurants within walking distance. 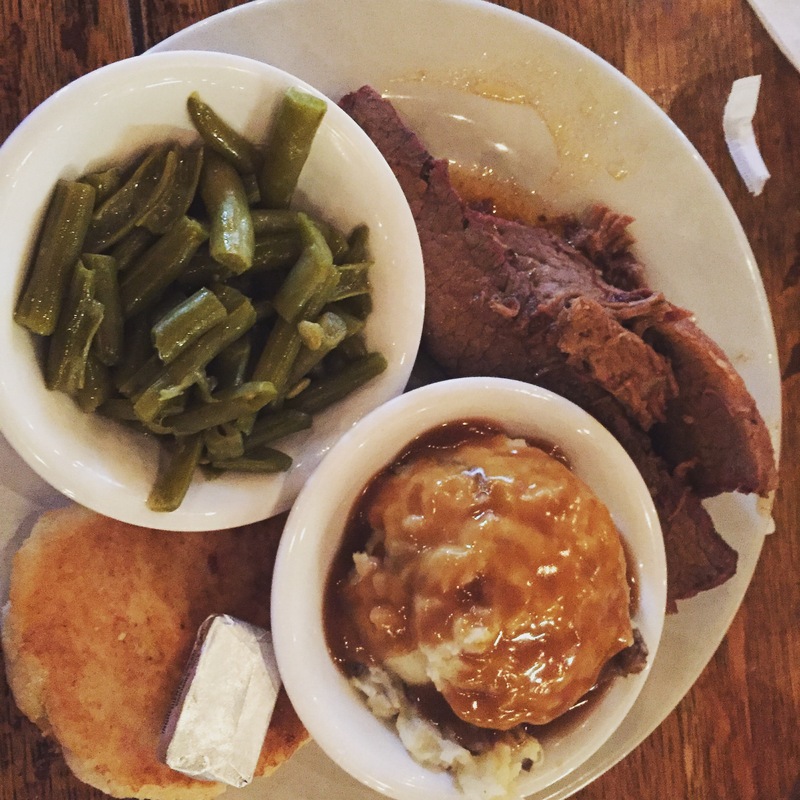 We chose to eat lunch at Puckett’s Grocery and Restaurant, which offers fantastic reasonably priced dining options for the entire family. For families with kids, there are many options to keep the kids engaged. There are costume contests, face painting, and arts and craft tents. For adults, there are tents with local craftsmen selling jewelry, pottery and art. There are also stores in the area with high end retail to browse, do some shopping and take a break from outside elements. It is after all early Fall, which in the South, could either mean it is bitter cold or summer is still hanging around. Be sure to make your way to the stage area in the square to listen to the local talent which includes singers, bands and local champion square dancers and cloggers. The enthusiasm this community has for their talent is contagious, making for a fun experience. If you want a break from Main St and the Square, we recommend a stroll to nearby historical neighborhoods and admire the grand beautiful historical homes. Have you been to Franklin, TN? Have you been to a festival there? If so, tell us about your experience. I’m thankful this week for all the positive interactions I’ve experienced with random people over the last few days. Last Friday out for dinner,after a tough day/week at work, a random lady turned to Tara and I directly and said “Are you two twins? How old are you” I normally brush these people off after a few niceties. She kept on and said “Well, I just wanted to say that the two of you are just beautiful. You really are.” This was the first time I looked a random stranger in the face directly and said “Thank you. It means a lot”. Yesterday we were at a work lunch and it was taking Tara’s salad forever to come. Tara and I had told the staff that we would be on the same bill to consolidate checks. The manager came over, apologized, and gave us both free meals. Today, we were at another place for lunch that normally makes us clear our own tables. Today, a manager came by and cleared our plates for us. These were all random interactions after a particularly tough week. It’s nice to be reminded that people still value you as people and customers. And now, just a few minutes ago, we got super lucky again. We bought tix to London for half the price they had been selling them for the past few weeks. Seems to have been a system glitch that was on our side for once! Music is an important part of both of our lives. We are known to fly to cities just to see a concert. We are lucky that we live within driving distance to Nashville, TN. Our playlists are always eclectic, but favor pop and current country. 1. Taylor Swift-what can we say? We’ve seen her 3 times in concert and absolutely think she’s a genius songwriter. 2. Ed Sheeren-We’ve seen him twice live and he’s just adorable. “x” is one of our favorite cd’s ever. 3. Kelly Clarkson-Top 5 singers we’ve seen live with a heart of gold. Her covers are innovative and mostly better than the original artist versions. The girl can sing anything! Her smashup of “That I Would Be Good/Use Somebody” is a favorite. 4. Vance Joy-I didn’t know much about him until he opened for Taylor this summer, but he blew me away. I quickly bought every song from “Dream Your Life Away”. 5. Paul McDonald & Nikki Reed-“The Best Part” and “I’m Not Falling”. Totally blew me away. Don’t know if those two will continue to collaborate, but they should. 7. Bleachers “Strange Desire”-Probably read about this in an album of the year review list because it hasn’t been in the radio, but definitely a favorite at the moment. 8. Keith Urban -Probably seen him 3 or 4 times and he gives one of the best concerts out there. He’s got a song for any mood. 9. Jewel “Picking up the Pieces”, is a new favorite. Collabs with Dolly and Rodney Crowell make it even better. Still love “Spirit”, but glad she released new music that showcases her songwriting and vocal talent. Throw in a little Eminem on the more frustrating days and that is an average day of listening at the office.